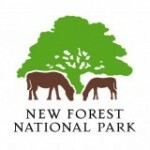 The New Forest Park Authority has choosen a selection of good New Forest walks and cycle routes and published them on ViewRanger to make it easier for people to enjoy a visit to this unique park. 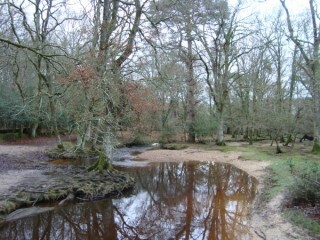 The landscape of the New Forest National Park is beautiful, rare and fragile. It combines ancient forest with open heaths grazed by wild ponies that wander unrestricted. The forest was created by King William the Conqueror in 1079 as a hunting ground, which was deeply unpopular with local people. ‘Forest’ did not mean a ‘woodland’ as it does today but instead it meant a legal system that controlled the use of the land. Peasants were prevented from taking firewood for their cooking or fence their land for crops. King William’s son - known as ‘Rufus the Red’ for his flaming hair - was even more unpopular than his father and, ironically, was killed by a stray arrow in the forest on a hunting trip. Whether this was an accident or not is still debated. Today the woodland is still rich in wildlife, with more than half the park designated as sites of Special Scientific Interest (SSI) and it remains one of the last vestiges of the ancient wildwood that used to cover Southern England. The New Forest Park Authority strives to protect this delicate habitat while encouraging visitors to explore and enjoy the park. Here is a selection of the New Forest walks available via ViewRanger to download to your smartphone or tablet and take with you. * Note it is best to do this before you set-off as mobile signal is very patchy in the forest. This is a riverside walk between the picturesque village of Beaulieu and Buckler's Hard, where the ships for Nelson's navy were built. This is a lovely walk suitable even with a pushchair. 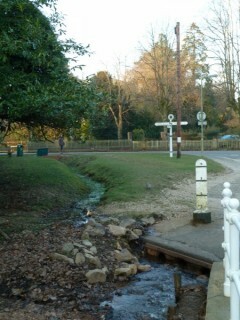 Beaulieu village - the attractive village of Beaulieu is part of the 7000 acre Beaulieu estate. The Palace House nearby has been the home of the Montagu family since 1538 and is open to the public. There is a famous motor museum there that currently has a ‘Top Gear’ exhibition. 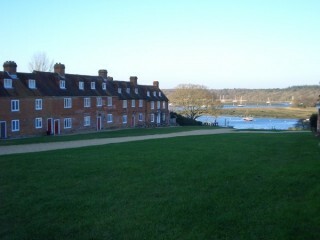 From the village the walk follows the banks of the river to Buckler's Hard. Buckler's Hard - it is hard to believe now but Buckler’s Hard was once a thriving shipbuilding village where warships for Nelson’s Navy were built, three of which took part in the Battle of Trafalgar. This easy walk takes in the impressive tall trees of the New Forest and provides an impressive experience. 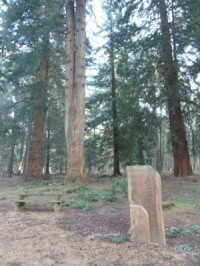 It starts in the Blackwater car park, which has picnic tables and disabled facilities and takes you on a circular 2.3km walk through some of the tallest trees in the forest. Starting at the railway station, which offers a regular service to London, this is an easy walk around the historic village suitable for walkers of all ages and abilities. At the bottom of the main street is the ‘watersplash’, where the ponies and donkeys roaming freely have a drink on their way to graze on the open heathland and ancient wood which surround the village. It was mentioned in the Domesday survey of 1086 as the only local village with a church. St. Nicholas is built upon a mound that may date back to pagan times. Rather randomly, there is an ornate gravestone in the church yard of “Brusher Mill’s - The Snakecatcher”. Starting from Whitefield Moor carpark, this walk along gravel tracks gives a flavour of the diversity of habitats in the Ober valley: Open heathland with gorse, grassland and wild ponies, natural and formerly enclosed woodland and the stream itself. In the wetland area grows a plant called the Bog Myrtle, which is a natural insect repellant in the summer. In the past it was used to flavour beer, but with such a pungent smell, it is hard to know what the beer tasted like! The woodland was, years ago, used as a source of oak for the ships built at Buckler's Hard. This circular walk is a short, easy walk suitable for walkers of most levels. The Chequers pub is 250m from the start of the walk, with unreserved parking available. Just two buildings survive from the salt industry that flourished along the coast from Roman times until the 1800s. 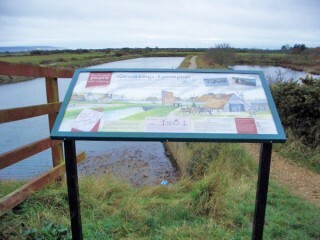 Salt was made by impounding seawater in shallow lagoons, known as salterns, where it was left to evaporate. Wind pumps were then used to draw off the brine solution into large metal pans where it was heated until only the salt remained. A series of narrow docks were constructed to enable sailing barges to import coal for the boiling houses and to export the salt. Moses Dock is the only remaining navigable dock, other examples include Maiden Dock and Pennington Dock. The production of sea salt was important in this area from the Middle Ages until 1865, when cheaper mined salt from Cheshire forced the closure of the last saltern. Stone and Rowe was the last company to operate here. Sea salt from the marshes was shipped as far away as America, turning Lymington into a thriving town. The lagoons were also perfect hiding places for smugglers and their contraband! For details of more good New Forest walks currently available in ViewRanger click here.